Looking after someone in Islington? A carer is a person who provides support for a partner, relative or friend who is frail or disabled, or has a long-term illness, mental health issue or substance misuse problem, and who cannot manage on their own. 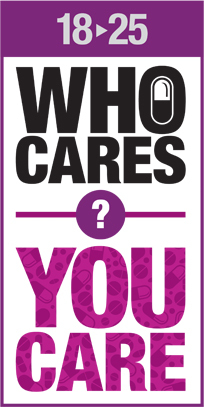 Do either you or the person you care for live in the London Borough of Islington? If you can answer yes to those three questions, Islington Carers Hub is here for you. You can contact us for advice, information and support. We offer advice sessions in venues across Islington as well as by phone or email. If you need help in evenings, at night or at weekends, look at the out-of-hours services in our borough. 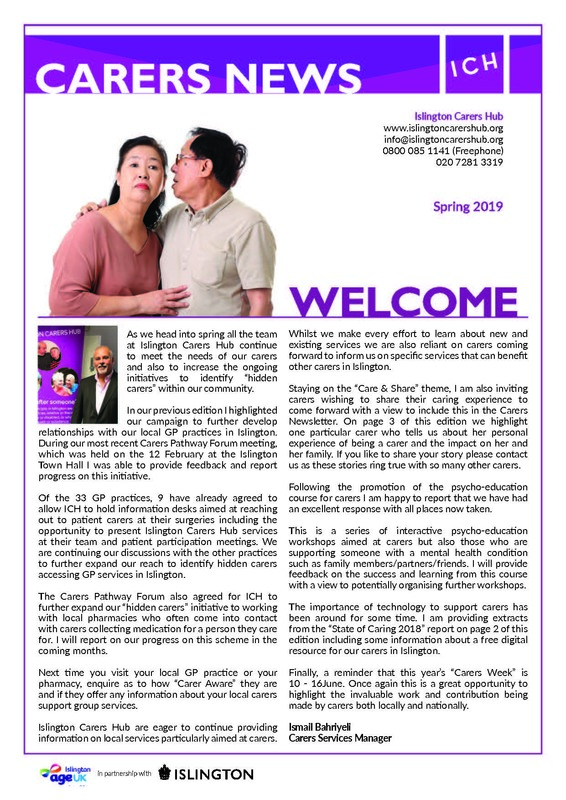 Click here to find out more about Islington Carers Hub. And click here to find out our latest news.